Before our scheduled house showing, craft session, and an impromptu trip to a winery, but after Vance's soccer game and team pictures we went to the orchard to pick apples. 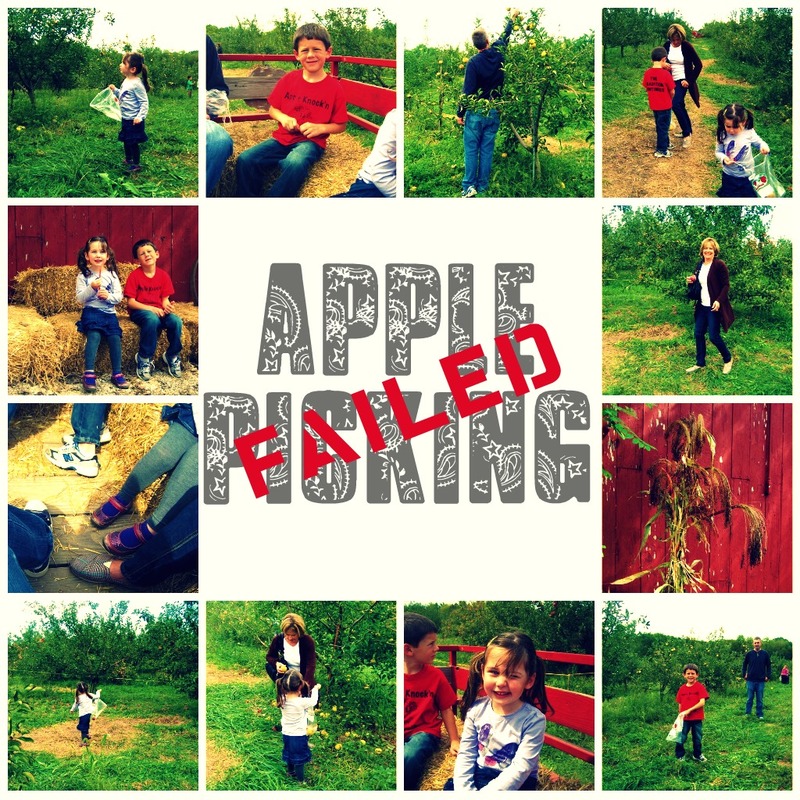 There was only one type to pick and the apples were brown and covered with bad spots. It was sad looking out there, even the trees looked embarrassed. 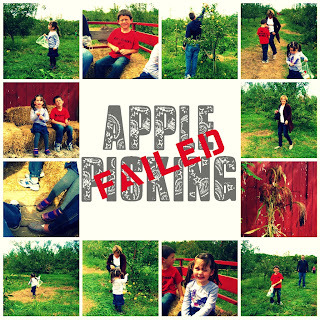 Is it a bad year for apples or was it just the orchard that we went to? We pulled up our boot straps (not really) and made an impromptu stop at a winery. Good views, bad wine, but fun nonetheless. Orange soda, root beer, and snacks kept the kids happy too. Backtracking just a bit, Vance played great this weekend and scored 3 goals. Watching the games are less painful this year because the kids are finally starting to get it. In other non-exciting news we went to the baseball game yesterday. Parking pass + good seats = the only way I'll go. We made a family record and managed to stay until the 7th inning stretch. I brought a coloring book for Vaughn which got her through one inning and giving her a wet wipe so that she could "clean" kept her busy through another. We had a good time. We had a busy, but good weekend. Hope you all had good ones too! Next up we get you to watch some football. As Ryan used to say, "Can't want to".